Someone recently told me persimmons are a “50s kind of fruit.” She went on to explain that in my area in the 50s, everyone planted persimmon trees. It’s true that our home was built about that time, and indeed, we have a tall, poorly pruned persimmon tree in our backyard. I certainly can’t complain… The 50+-year-old tree in our backyard continues to bear fruit year after year. Maybe it’s also a Northern California thing because even our supermarkets and farmers markets are overflowing with persimmons during the early months of winter. 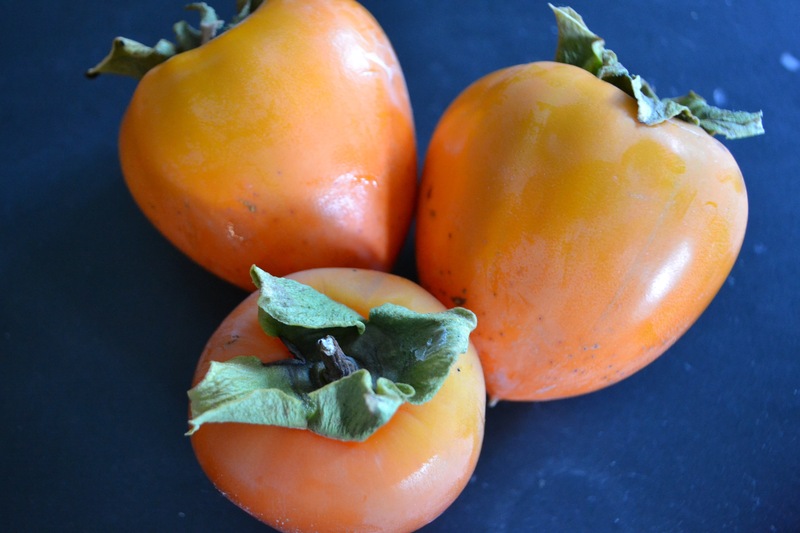 There are many kinds of persimmons, but for all practical purposes, there are two: Hachiya and Fuyu. The Hachiyas are more oval and best used for baking after they reach full (very soft) ripeness. They make naturally moist and sweet breads and cakes. The Fuyus are round and squat and are best used like an apple–sliced and eaten or used in salads while still firm. Our tree bears Hachiyas, so each year in late October and often into December, we get out the ladder and start picking. Once picked, they ripen quickly, so quickly that I have to give many away and/or “process” them for later use. My processing entails washing and peeling and pureeing the soft fruit in my Vitamix before sealing it in ziplock bags and placing the bags in my extra freezer. If you are buying either kind of persimmon from a store, look for fruit that is very orange and feels heavy for it’s size. Hachiyas can easily be ripened at home at room temperature. Their beautiful shape and color make them an excellent choice for a table centerpiece while they ripen to readiness. I make some version of persimmon bread every year–typically all through winter. Since I’m still on my gluten-free kick, I haven’t been baking persimmon bread as much. I also haven’t experimented with how to make a gluten-free loaf, but it’s a good project for next winter. This recipe–adapted from Beard on Bread by James Beard, makes two loaves, so freeze the second or give it to someone you love. 1. Lightly grease or spray oil 2 9-inch loaf pans. Line the bottoms with a piece of parchment paper or dust with flour and tap out any excess. 3. Combine the first 5 dry ingredients in a large mixing bowl. 4. In another large mixing bowl, lightly whisk the eggs. Whisk in the butter (or oil), liquor and persimmon puree. 5. Add the dry ingredients to the wet and stir until just combined. 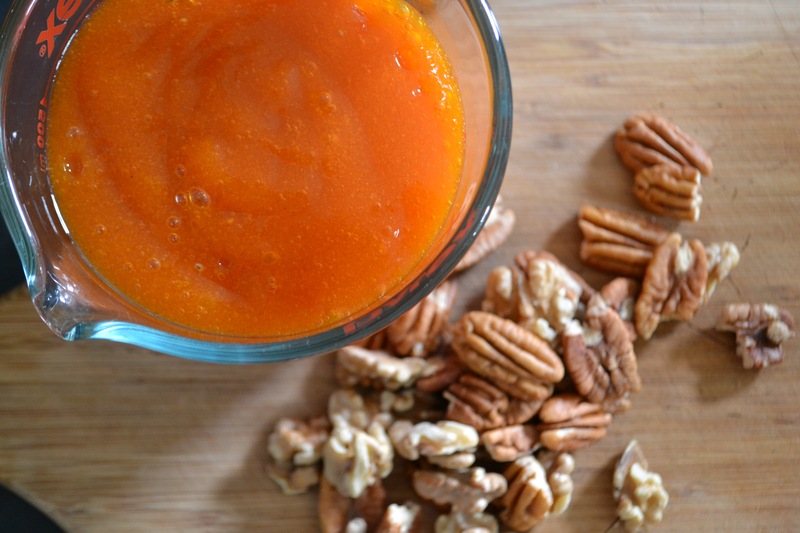 Fold in the nuts and dried fruit. This looks so good. I love persimmons! Thank you for your comment! Please let me know if you try the recipe, and how it turns out for you. I have been making the James Beard recipe for persimmon bread for the holidays for years. 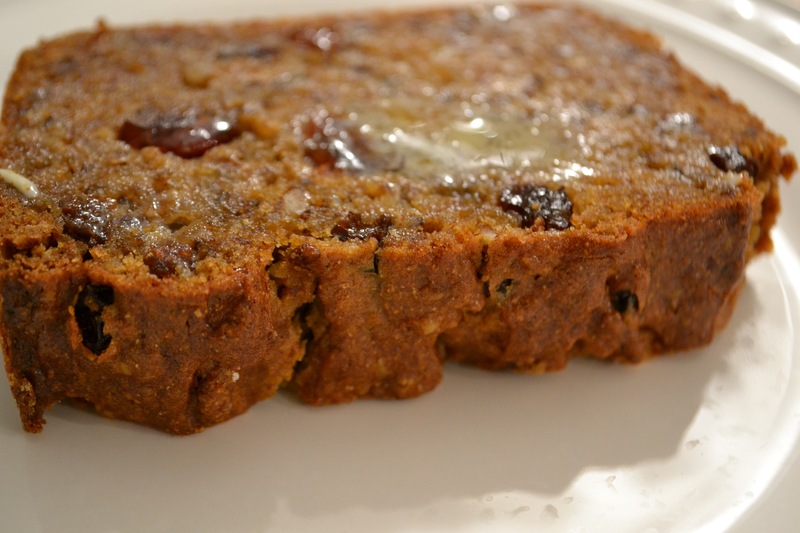 I like to add candied ginger, and raisins that have been soaked for a day or more. I am eager to try your gluten free recipe. I soak the raisins in Bourbon.